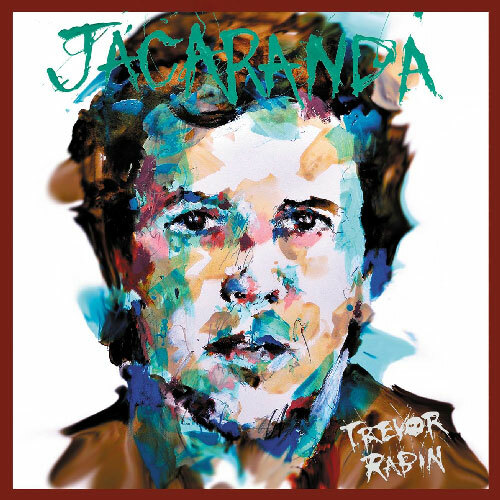 Jacaranda is the fifth studio album from the South African American musician, producer, and composer Trevor Rabin, released on May 8, 2012 on . His first solo album of new material since Can’t Look Away (1989), Rabin started work on a new album in 2007 when he began writing music that was challenging to play that cover a variety of genres, including jazz fusion, rock, blues, classical, and bluegrass. Most of the album’s song titles refer to Rabin’s experiences while growing up in South Africa. Recording took place over a six-year period at Rabin’s home recording studio in Los Angeles. Five guest musicians perform on the album, including drummers Lou Molino III, Vinnie Colaiuta, Ryan Rabin, bassist Tal Wilkenfeld, and singer Liz Constantine. After the release of Jacaranda was pushed back several times, the album had a limited release which entered the U.S. Billboard Contemporary Jazz Albums charts at number 6 and number 19 under Jazz Albums. Several reviewers rated the album highly, giving praise to Rabin’s musical abilities and the variety of genres he covers. Rabin cites Jacaranda as the best album of his career, and announced that a follow up album with lead vocals was in progress. All tracks written and arranged by Trevor Rabin.